A soap dispenser is exactly the sort of thing you want to get right the first time when you’re making a new purchase. They’re not typically too difficult to install, but there’s a little bit of work involved. And having to return them can be less than enjoyable, given that you have to uninstall, clean, dry, and repackage, only to go through the whole process again! For these reasons it's a good idea to do some studying before you go and purchase a dispenser, so we've worked up a guide to some of the best options to get you started. GICASA is a relatively young company in this department, having only been in operation for about 18 years. There really aren’t too many noteworthy complaints to be found though, save the odd disgruntled review here or there, so we can say with some degree of certainty that it’s a trustworthy brand. 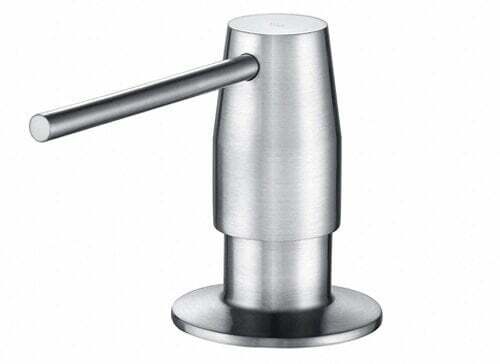 This dispenser is a nice blend of simple and refined. 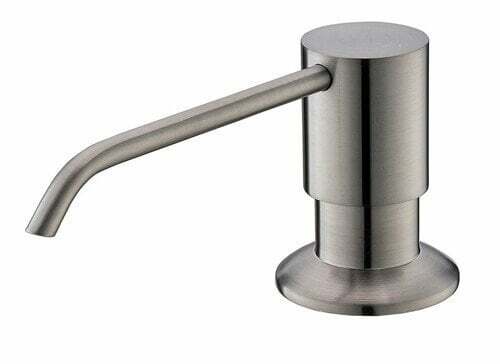 It’s built for easy installation and quick refills from the top, yet its brushed nickel finish makes it look like a more permanent fixture in your kitchen. 360-degree swivel and a self-priming pump make for good ease of use as well. The only downside is that its 320ml capacity could stand to be a bit greater. Kraus is a fairly respected brand in this space as well, and it’s clear that this is a quality dispenser option. It’s designed in a fairly minimalist and decidedly modern fashion, though from a distance it may look somewhat less substantial than some would like. 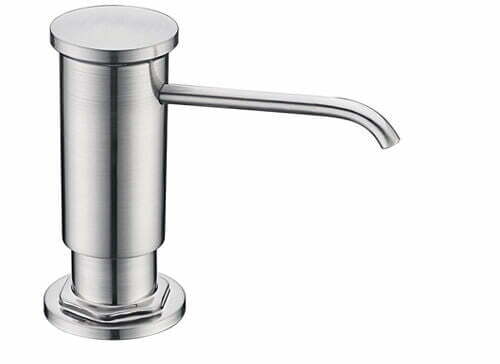 To the touch though, it will feel more like a strong piece of kitchen hardware thanks to its brass construction. A 17oz capacity for the bottle may be the main selling point here, simply because it won’t need regular refills - though when it does need some, it can be refilled from the top, making matters simple. All in all, it’s a solid, reliable dispenser and the only knock on it would be a personal stylistic quibble. Avola is a fairly new company operating out of China, which started selling kitchen appliances in 2011. Not for nothing, the brand has done well with ratings at least on Amazon so far, with a 99 percent positive reception among 388 ratings over the course of the past year. This particular dispenser doesn’t require too much of an explanation though because in look, feel, and material, it’s almost the exact same as the GICASA option discussed above. It does have slightly better bottle capacity at 13oz, however, and it also comes in a sleek black, oil-rubbed bronze option, as opposed to just the brushed nickel. This is a very similar option to the previous GICASA dispenser discussed, different primarily in appearance. 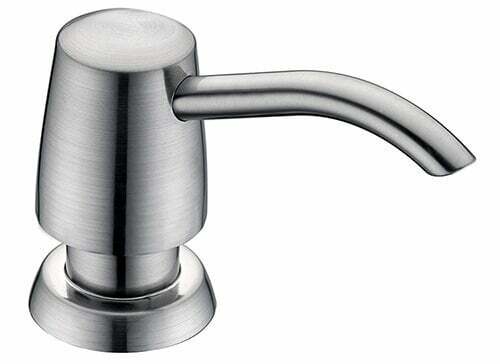 While it uses the same brushed nickel finish over its plastic head, this option has a thinner, cylindrical head, a flatter top, and a thinner dispenser spout. It’s no better or worse looking, but it’s worth comparing the two to see which might look better in your space, particularly given that they’re just about the same price. One benefit to this option is its 13oz capacity, which exceeds the 320ml capacity of the other GICASA. This is more of a standalone option rather than something that needs to be installed, and it’s generally a higher-end product. Built in an attractive stainless steel design and having become a top seller in this space in short time, it’s clearly an alluring product. And functionally, it’s simple: the battery-powered dispenser uses sensors to dispense soap or lotion when your hand is under the nozzle, and stops immediately upon withdrawal. The most important factor some will want to know about is how well the machine is protected from water and soap, and the answer is that the ELECHOK has 3A class leak proof and waterproof technology to effectively barricade the battery from water or soap. The base of the dispenser is raised ever so slightly, making for both stable positioning and further protection from water that may get on the sink. This is another standard installation option with the same general design as some of the products mentioned at the top. However, some might consider it to be slightly more heavy-duty than, say, the GICASA, Kraus, or Avola offerings. This is largely because of its stainless steel flange, which in theory makes the dispenser more durable where the pump head attaches to the bottle. As for the additional specs, we have a brass pump head coated with a brushed nickel finish, and a 13oz-capacity bottle for soap or lotion. One other note is that the pump is somewhat shorter in height than many of the counterparts. The KVADRAT sets itself apart largely by way of its chrome finish, which is a nice touch but may or may not fit any given kitchen. 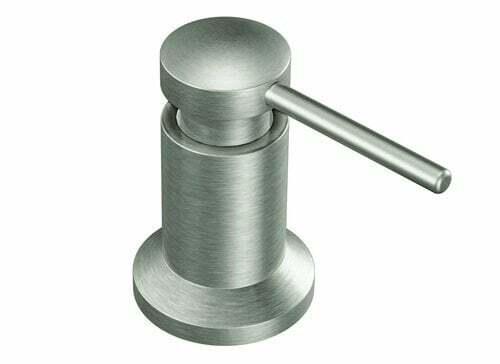 The underlying design is brass, and the dispenser is made with corrosion and rust resistance that will, in theory, make sure it lasts longer than some competitors. It’s another easy-to-use option, with refills from the top, a self-priming pump, and a fairly tall head for easy access. It does, however, have one of the smaller bottles, with just an 11oz capacity. 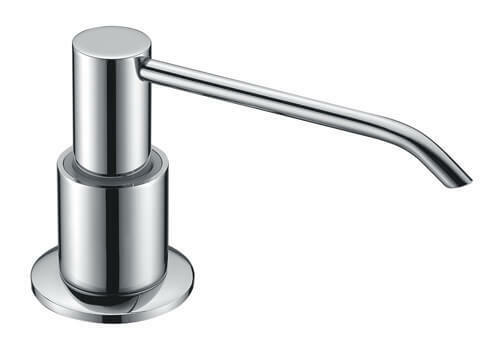 Moen is far and away the most trusted and well-known brand discussed here and can be relied upon to produce high quality, lasting products. This shows both in the pure appearance of the dispenser and in its price point, which is generally the highest of all of these options, provided some fluctuation. 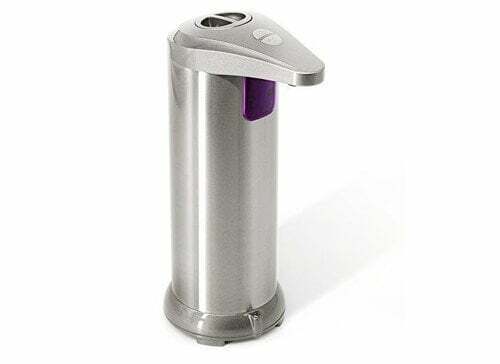 This is a stainless steel dispenser designed to withstand fingerprints and any marks that may otherwise befall it from the water. It’s an easy pump that can be refilled from the top but won’t need to be as often given its robust 18oz-capacity bottle. And it comes backed with Moen’s limited lifetime warranty, which is one of the perks of dealing with such an established company. So there you have it! These are some of the very best options on the market, and any and all will suit you well. Hopefully, this guide helps you sift through the innumerable options out there that can make something like buying a new soap dispenser surprisingly complicated. Ultimately, we may not be too far off from making this whole shopping dilemma easier, because augmented reality is doing exceptional things in the home design space. It can potentially change the whole way we shop for household appliances like these. Virtual reality gets the most attention, because it’s beginning to show the capability to put us into completely different places. Beyond the obvious (meaning games), this means people can use VR to check out a destination they might consider travelling to or tour a specific site there. It means betting providers, already thoroughly critiqued for quality, are exploring VR helping bettors to virtually “attend” the events they’re betting on, and allowing them to make in-person bets. It’s understandable that these kinds of teleportation-like experiences hog the spotlight. Augmented reality though, may be more practically useful, and may have an impact on the very subject we've been covering here. The augmented reality, instead of taking you into a different place, can take something from a different place and bring it to you. This capability has resulted mostly in the emergence of furniture shopping apps. You can probably guess how it works. The AR program allows you to view, in digital form, your own home with furniture you’re considering buying in it - only without the inconvenient step of having to go shopping, haul the furniture home, and get it set up physically. And this very same concept could easily be applied to all kinds of home accessories and appliances - including soap dispensers. That at least solves the issue of seeing how they look without having to go through the installation, though some may still want to sample how the dispensing works. At any rate, this whole process will be simplified to some degree, likely within another year or two. In the meantime though, we have to do it the old-fashioned way. And that means looking through lists like the one we provided above to get the best possible idea of a product before you buy it.